Did you know our cities first baseball field was in Riverside? YUP! 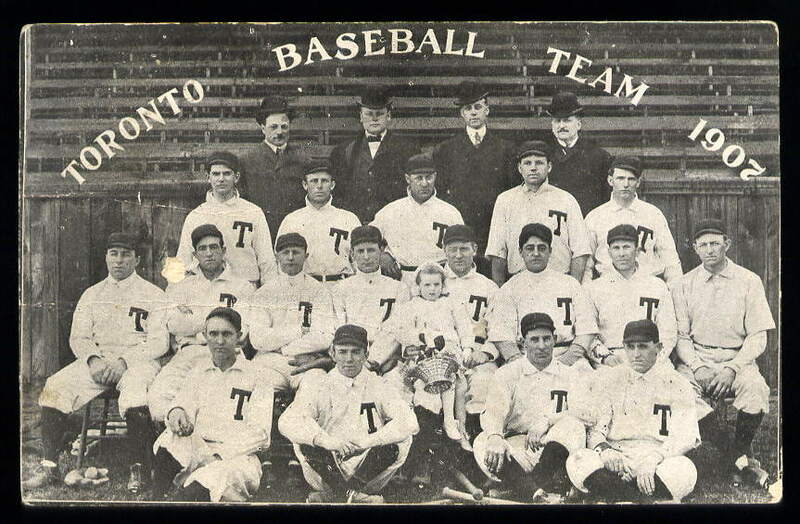 The city of Toronto’s first baseball field was at Queen and Broadview. 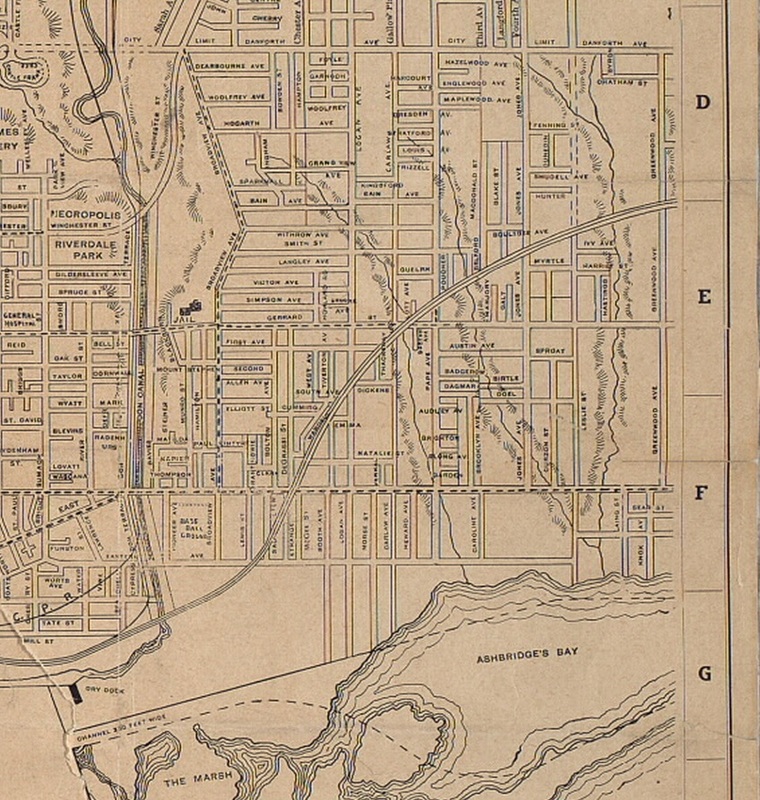 It filled a large parcel of land From Queen to Eastern, and Broadview to the east. 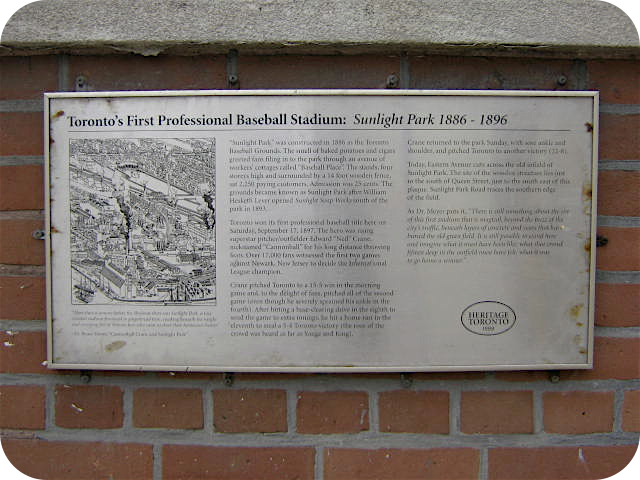 “Sunlight Park” was “the first baseball stadium in Toronto, Canada. 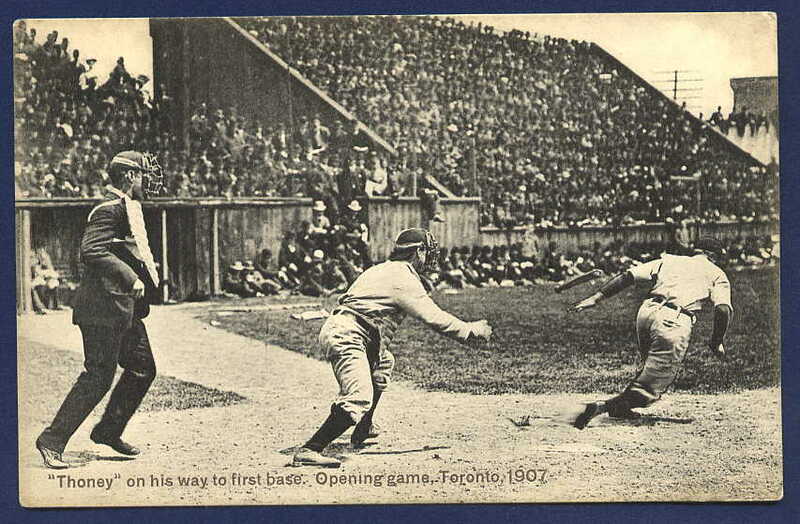 The all wood structure was built in 1886 by the International League baseball team the Torontos (soon renamed theToronto Maple Leafs) at a cost of $7,000.” The park had a capacity of 2,250. Admission was 25 cents. The stands were four stories high, and the field was surrounded by a 4 metre wooden fence. 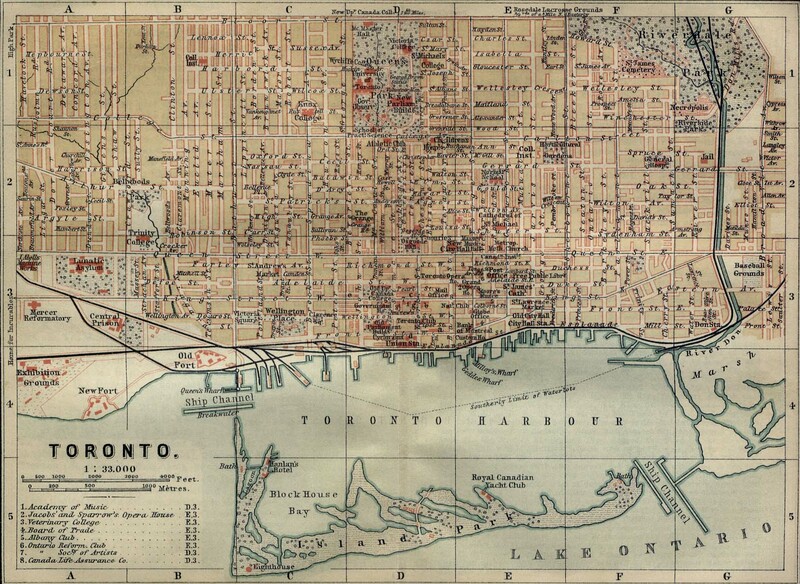 The baseball team and league folded in 1890 when the team’s new owners abandoned the park for their new Hanlan’s Point Stadium. 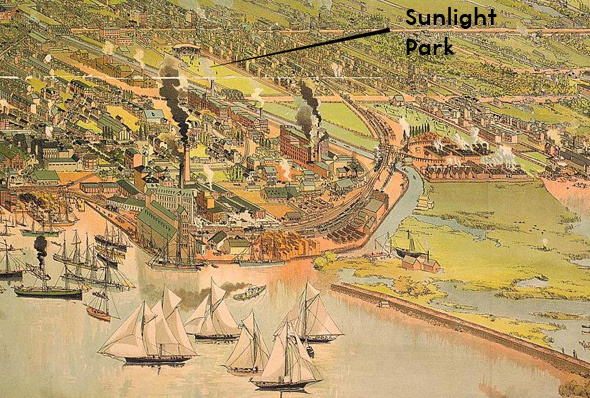 The park was used for local baseball leagues until well into the 20th century, when encroaching industrial uses predominated. 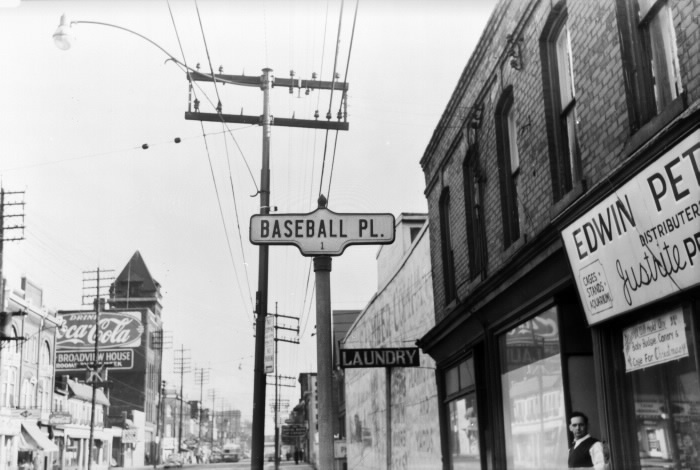 The street to enter the baseball field was named”Baseball Place”. I’m sure the boys would head down to the Broadview Hotel after games for a few cold brews and stories. Currently on this lot of land are 2 existing condo developments (90 Broadview and 68 Broadview) as well as a Toyota Dealership. Streetcar Developments is going to be developing this land into the Riverside Square Development. I wouldn’t be surprised if a lot of baseball memorabilia and remnants of the old stadium were found during this excavation. Let’s hope some treasures are discovered! Here are some maps showing Sunlight Parks location in Riverside, as well as a photo of the action and a team that played there. 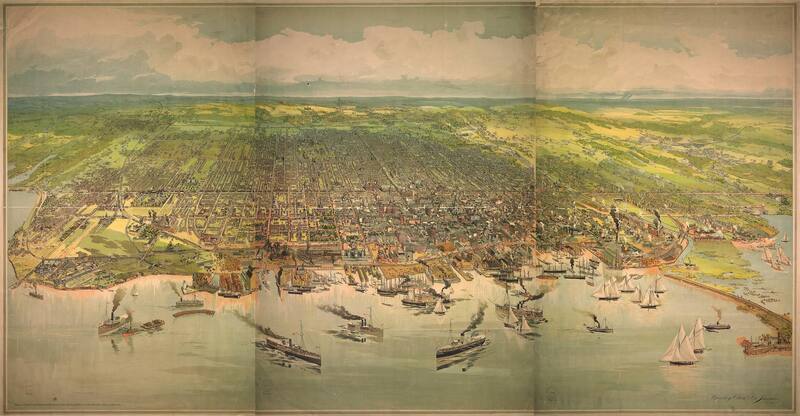 This map clearly shows the location of Sunlight Park, as well downtown in 1894. A few notes from this map: 1.The lake comes right to the Esplanade/Front St, boats could dock at St Lawrence Market and load right in. Everything south is currently landfill. 2. Dundas doesn’t exist yet, 3. CAMH is called a “Lunatic Asylum”.